Yes, it’s true! Robin has a new blog. Let’s all give her a big cheer as we welcome her back to the blog world. Yay Robin! We’re so happy!!! When Glenda and I took our big road trip, we took along six or eight audio books to listen to in the car. We have become addicted! Now I rarely listen to the radio anymore. I’m always listening to books; in the car, on my walks, and sometimes while I work. I get them from the library. Since my 2000 Accord only has a tape deck, I had made my way through a large percentage of the books on tape from both the Mesa and Chandler libraries. When Robin gave me my iPod last spring, I started checking out audio books on CD, ripping them to iTunes and downloading them to my iPod. As soon as I have finished listening to a book, I delete it from my iPod and return the CDs to the library. Some of my recent favorites are Prodigal Summer by Barbara Kingsolver, The Poisonwood Bible by Barbara Kingsolver, all the Miss Julia books by Ann B. Ross, and The Last Promise by Richard Paul Evans. I just checked out my longest one ever: The Pillars of the Earth by Ken Follett. It’s 32 CDs and 41 hours. It’ll probably take me a few weeks to get through it. If you haven’t discovered the joy of listening to books, I highly recommend it. 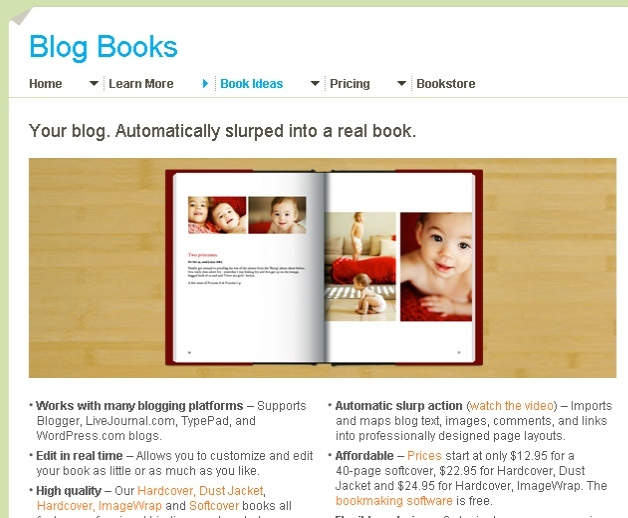 I was reading a friend’s blog today and she had posted about a website where you can turn your blog into a book. She has downloaded 54 pages of her blog and is having her very own book made! It sounds like a fun idea, especially for topical entries. Richard & Dianna, your Alaska trip would make a great book!